Online poker players in most parts of the world have a huge amount of choice when it comes to deciding where to play. Since the game really started increasing in popularity just after the turn of the century the number of poker sites has grown dramatically and it can actually be quite hard to know which ones are best and which ones should be avoided. For US players, though, the choice is not quite as wide, as the number of sites that welcome players from the States has diminished somewhat in recent years. This is largely due to the uncertainty of the legal issues surrounding online poker in the US. Having said this, there are still plenty of places that Americans can play and US players face the same challenges in trying to determine which the quality sites are and steering clear of those which don’t really have that much to offer. Choosing where to play really is an important decision and is something that any player should put some thought into. We can help with this, and we have listed our recommendations for the best US poker sites below. We have also looked at some of the factors that should be considered when deciding which poker room to join. We have extensively researched and tested a wide selection of poker sites, and carefully considered which ones stand out as being the best. The following are those that we recommend to anyone who is looking to play online poker from the United States. They are all of the highest standard, and you can be safe in the knowledge that you will have a positive experience playing at any one of them. We’ve already mentioned that choosing where to play can be something of a difficult process. Not all poker sites are of the same standard and, of course, what suits one online player may not necessarily suit another. When it comes to choosing an online poker room there are certain factors that will be important to everyone, but there are also some that are essentially down to personal preference. This is why you should put some effort into looking at your options before actually going ahead and signing up somewhere. We are confident that you will get on just fine at any of our recommendations above, but you still may want to compare them yourself and deciding which one is likely to be the best for you. Below we have discussed some of the main considerations which we take into account when deciding which US poker sites to list here, and these are exactly the sort of things that you should be looking at yourself. The software that is used to power online poker games is different from one site to the next, and the quality of this software can vary quite significantly. Most rooms have software which at least handles the basics pretty well, although a handful do still use software that is outdated and pretty awful. You will find that the top sites put a lot of effort into their software, regularly upgrading it and constantly making improvements to ensure they offer their customers the very best experience possible. Good quality poker software should perform well in a number of areas. Decent graphics with customizable layouts are important, and it should be user friendly too. There should be a well-designed lobby that makes it easy to find the games you are looking for and plenty of useful features such as being able to view hand histories and take notes on opponents. It should be completely secure, stable and run smoothly. Not all of our recommendations use the same software, but we do only list sites that use software that is of a decent standard. Although Texas Holdem is by far the most common form of poker being played online at the moment, there are lots of variations of the game too. Some of these are becoming increasingly popular and it can fun, and profitable, to learn how to play other forms of poker too. The best poker rooms typically offer a range of games in addition to Holdem – such as Omaha, Seven Card Stud and Razz. We generally advise it is better to play where there is a good selection of different games and different stakes, as these sites tend to attract better player traffic. Good traffic is important, as it means you are far more likely to find opponents to play against when you feel like playing. Although we only recommend sites where there is plenty of action, it is a good idea for you to look at the number of players playing your preferred games and stakes. Somewhere that has lots of players playing micro-stakes Texas Holdem is not much use to you if you want to play high-stakes Omaha. For the same reasons, you should look at the number of cash game players and the number of tournament players. Most poker rooms offer new customers a sign up bonus to encourage them to join, and these bonuses can be pretty generous and help give your bankroll a boost. This doesn’t mean you should simply sign up at the site that offers the biggest bonus, but it is something that should be taken into consideration. Perhaps more important, particularly if you are a regular or high volume player, is what other rewards are available. Additional bonuses based on how much you play, or some kind of loyalty scheme that rewards you for how much you play, can provide you with some excellent extra value an on-going basis. There are a few other factors that we consider when making our recommendations too. These include reputation, customer service, deposit options and speed of withdrawals. We try to stick to sites that have been around for a while and built up a decent reputation, as these are obviously doing something right to earn their reputation. That is not to say that we don’t consider any new rooms that enter the market as we do look at them too, we just prefer sites that have a good track record. Customer service is something that is actually often not really considered by online players, but we believe it’s important. It can make a difference to your overall experience as it can be very frustrating to send an email to customer support and wait ages to get a response. On the other hand, it can be a pleasure to deal with customer service when the reps respond quickly and are both helpful and friendly. If you are based in the US, then you definitely need to look at the available methods for depositing, and withdrawing, funds. This is one of the biggest challenges facing US poker room and players, but the best places make it as easy as possible to get your money online and ensure that withdrawals are processed in a reasonable timeframe. Online gambling in America was severely effected in 2006 by the Unlawful Internet Gambling Enforcement Act (UIGEA). This is legislation that was introduced with a view to regulating online gambling and “prohibits gambling businesses from knowingly accepting payments in connection with the participation of another person in a bet or wager that involves the use of the Internet and that is unlawful under any federal or state law”. As a result of this act, many online gambling companies have decided to no longer accept US players – even though the legal issues are not entirely clear. The UIGEA does not specifically clarify which forms of gambling are legal and which are illegal. With regards to poker, there is a strong argument that poker is a game of skill rather than chance and is not actually gambling at all. As such, several operators do continue to accept customers from the United States. Although there has been a lot of talk about the possibility of formal regulation of the online poker industry, at this point in time the future is still somewhat unclear. From a player perspective, there is nothing to explicitly say that playing poker online is an illegal act. A particularly notable effect for companies that do accept players in the US is the difficulties they now face in processing deposits and withdrawals, which we alluded to earlier. 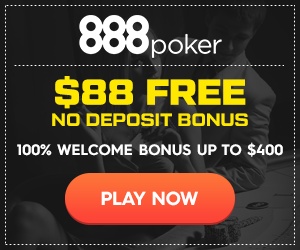 This is one very important reason why you should use one of the poker sites that we recommend, as they are among the best when it comes to providing workable deposit options to US players and dealing with cash outs efficiently.